Chanterelles are moving south along the coast with the winter rains. Big Sur had a good rain last week and with more expected throughout the month, we should be harvesting fresh chanterelles any day now. Ten years ago, when I first lived at Post Ranch, my roommate and I would find baskets of chanterelles below a grove of oak trees above where the solar panels are now located. The thought of fresh chanterelles always made a rainy weekend much more bearable. Many things have changed at Post Ranch since 2001, but I suspect the chanterelles will be where I left them and I am looking forward to hitting the muddy trails in search of them soon. 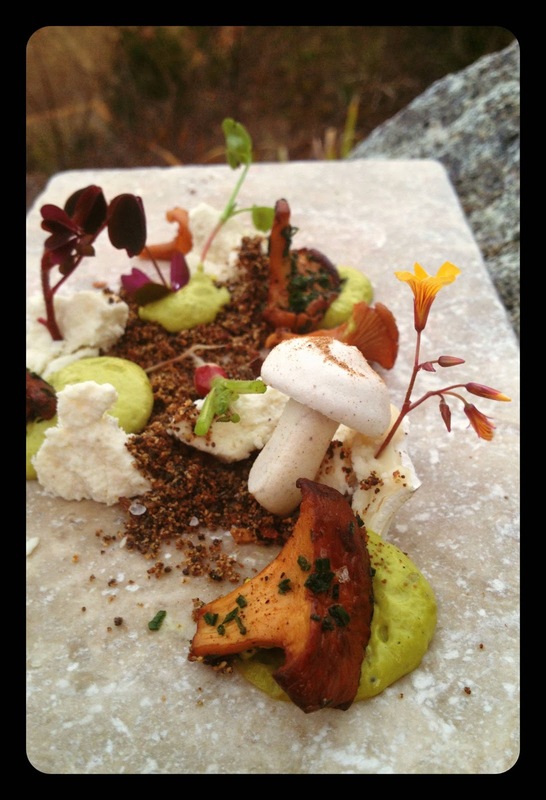 We celebrate the beginning of chanterelle season with a dish inspired by the landscape. 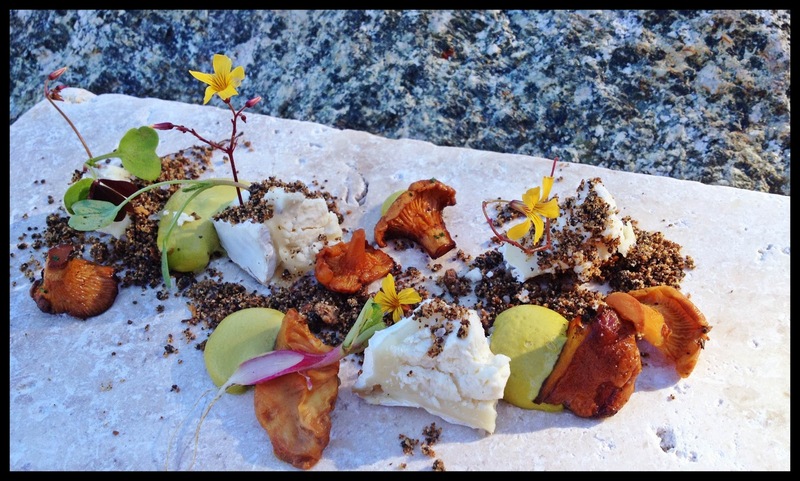 Pickled chanterelles, roasted chanterelles, chanterelle-almond crumbs, chanterelle-pine meringue, pistachio and red sorrel with a few crumbles of Cypress Grove Truffle Tremor.